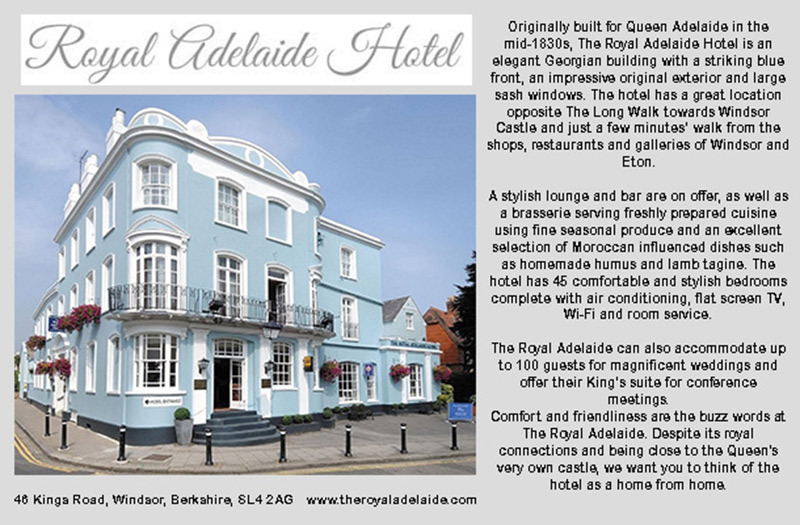 For a recommendation on a great place to stay in central Windsor why not try Alma House in Alma Road in Windsor. 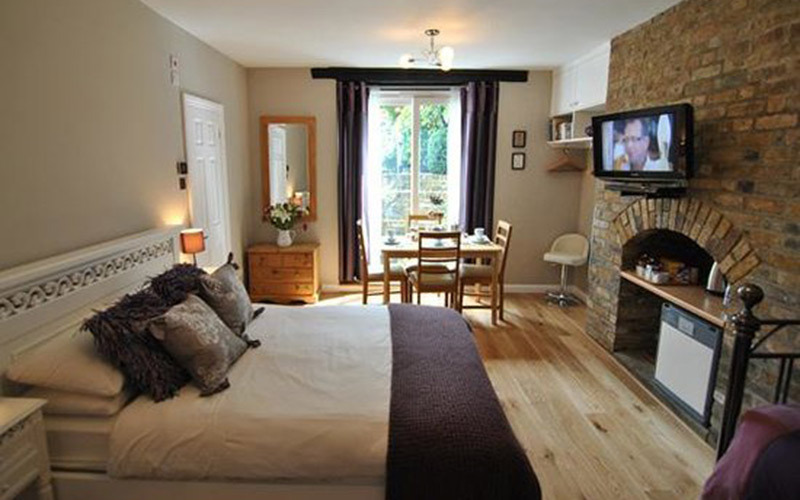 A small and friendly bed and breakfast hotel with self contained rooms, sparkling bathrooms and free unlimited Wi-Fi and complimentary snacks. Perfect location in a leafy residential street just 5 minutes walk to shops, restaurants and Castle. Check availability and book online at your convenience. 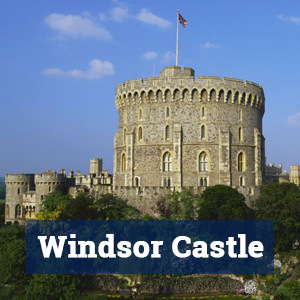 Otherwise why not try Accommodation Windsor’s range of short let serviced apartments that are available to be booked for a week or more – perfect as an alternative to a Hotel in Windsor especially if you are staying in Windsor for a few weeks or months. 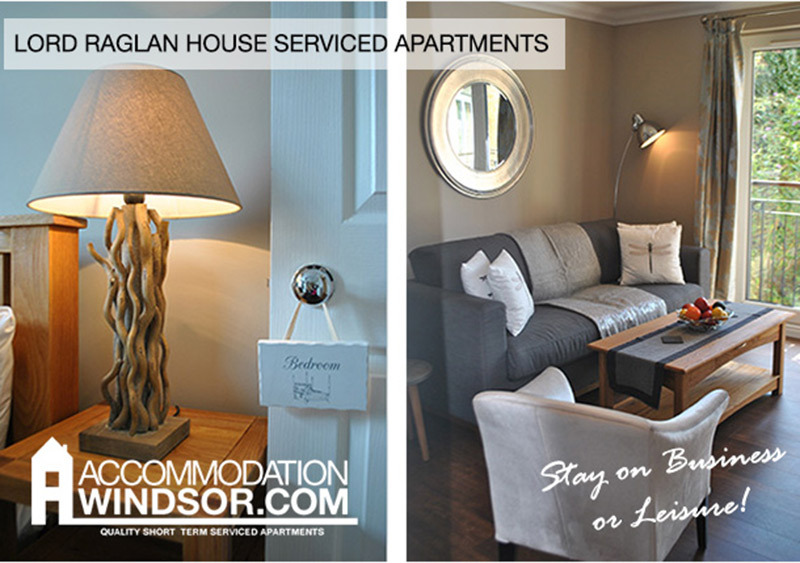 These well located luxury apartments range from studios to three bedroom apartments and all have wireless internet connections and are within walking distance of Windsor town centre. 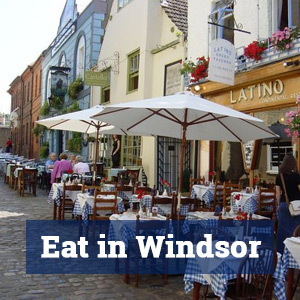 The Courtyard Apartments are an ideal alternative to a Windsor Hotel. 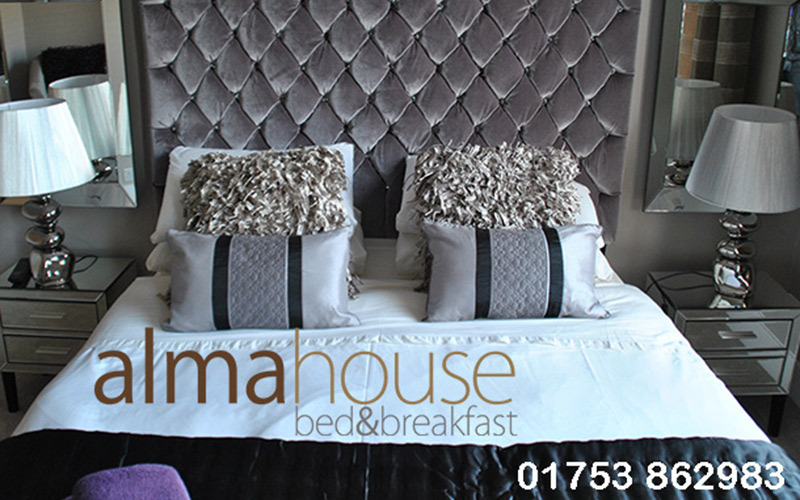 Alma House – superbly located with self catering bed and breakfast rooms and free wireless internet access, TV, mini fridge, all ensuite B&B rooms. 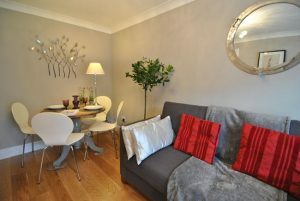 Camperdown House – apartment – short term weekly self-catering lettings in Windsor town centre. Children welcome. The Penthouse at Courtyard – short lets Windsor – luxury penthouse apartment for corporate and executive lets – the sensible alternative to hotels – why stay in a hotel at top rates when you can self-cater for a lot less than the cost of a hotel room especially if two people are sharing a two bedroom apartment. 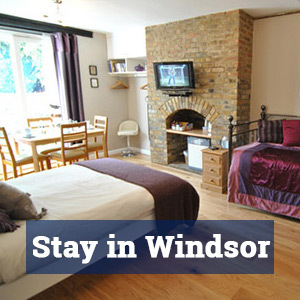 As an alternative to hotel accommodation, why not stay in an apartment, contact Accommodation Windsor. Specialising in executive relocation, corporate lets and short term serviced apartments with wireless high speed internet access and all fully furnished. Weekly servicing is optional. Berystede Hotel, Bagshot Road, Ascot, 01344 623311. Danesfield House, Henley Road, Marlow, 01628 891010 – country house hotel overlooking the Thames and Chilterns, set in 65 acres. Fredrick’s Hotel, Shoppenhangers Road, Maidenhead, 01628 581 000. Great Fosters Hotel, Stroud Road, Egham, 01784 433822 – beautiful Elizabethan manor dating from 1550 and set in 55 acres of gardens. Monkey Island Hotel, Old Mill Lane, Maidenhead, 01628 784732 – unique privately-owned hotel on four and a half acre island in the Thames. Oakley Court, Windsor Road, Windsor, 01753 609988. Runnymede Hotel & Spa, Windsor Road, Egham, 01784 436171 – privately-owned hotel on the banks of the River Thames, extensive conference, banqueting and spa facilities. Savill Court, Wick Lane, Englefield Green, Egham, 01784 472000 – Jacobean manor set in 22 acres, major conference centre, 15 minutes from Heathrow airport. Stirrups Country House Hotel, Maidens Green, Bracknell, 01344 882284. Stoke Park, Park Road, Stoke Poges, 01753 717171. Taplow House Hotel, Berry Hill, Taplow, 01628 670056 – recently refurbished four star deluxe country house, dating from 1590s, set in 6 acres of grounds and woodland. Grovefield Hotel, Taplow Common Road, Burnham, 01628 603131 – Edwardian country house set in seven and a half acres of woodland. 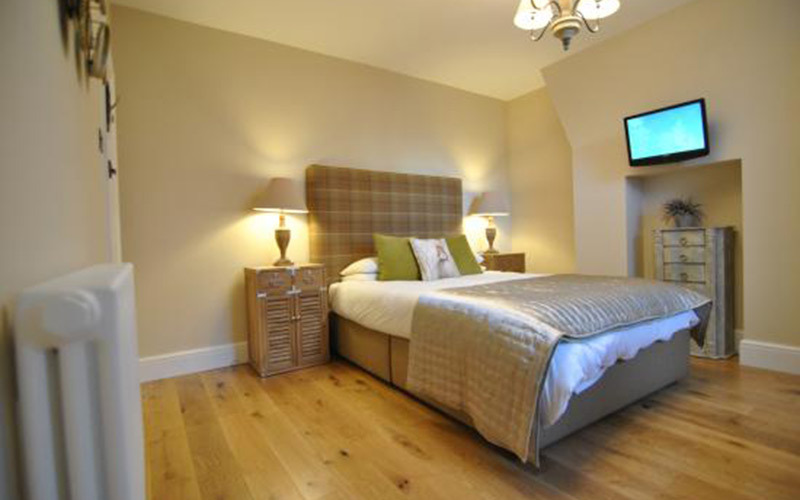 Walton Cottage Hotel, Marlow Road, Maidenhead, 01628 624394 – 3* AA and RAC hotel, close to the town centre. Ye Olde Bell Hotel, High Street, Hurley, 01628 825881 – a magnificent hotel, well-known for its warm welcome and classic English character.